Peter is the father of a deaf son brought up with Cued Speech. He is a chartered Civil Engineer and his early career was with the Costain Group working in the UK and around the UAE Gulf States. He then joined Shell UK and worked on Projects in the North Sea until he moved to Den Haag and worked on mega projects across the globe. After 25 years Peter retired from Shell and operated his own project services consultancy for a few years until the oil priced dropped in January 2016. 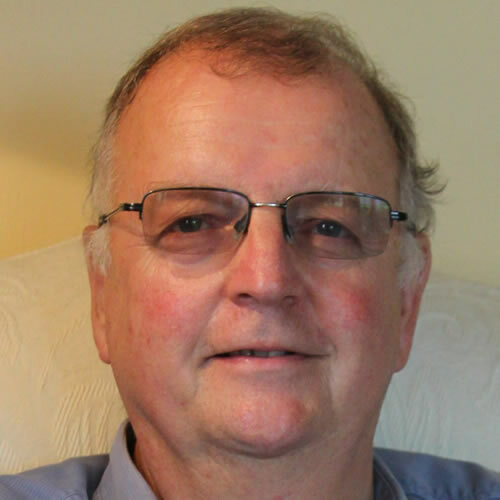 Peter chose Cued Speech for his profoundly deaf son in 1985 (a year after he was born) and attended a number of beginners and intermediate courses in Canterbury. Peter became a trustee in 1986 and was elected chair of National Centre of Cued Speech Management Committee for a number of years until 1995 during a time when fundraising and raising the profile of Cued Speech were the key objectives. His son benefitted from Cued Speech and now works for ITV adding sign language bubbles to the current programmes. His ability to communicate in the deaf and the hearing world is excellent. Peter’s return to being a trustee with time to offer the charity is a result of his reduced travel and consultancy engineering commitments. However, he does enjoy staying active with his vegetable patch and minor building projects around the home.